Anthem Great Pumpkin 5k | Where Outside Is In! You are currently browsing the tag archive for the ‘Anthem Great Pumpkin 5k’ tag. Fall is finally here – the weather has cooled down, school has started, and you’re ready to get back on track. 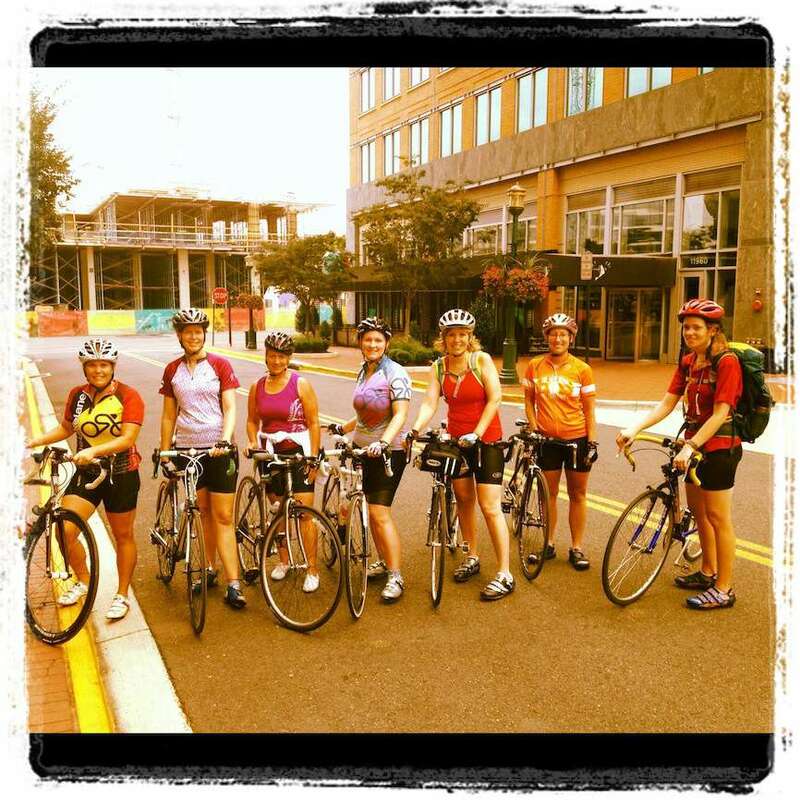 Now’s the time get active, and get a jump start on the cold winter months…and maybe some of the activities and events at Reston Town Center can help! Join Potomac River Running for their weekly fun run on Thursdays at 6:30 pm. This low key group run led by store staff and members of various local training groups allows runners of every pace and experience to feel at home in a casual setting! The free program is a great way to meet new people and add some structure to your training schedule. They also have a special free kettlebell group session on Saturday, September 29, 9-10 am in the Pavilion for those who want to increase their strength! Get Active with Athleta at one of their many health and fitness classes or workshops! This month check out their Nutrition Club on Sundays 10:30–11:30 am; explore juicing as a cleanse or way to simply increase your fruits and veggie during the raw cuisine juicing class on Sunday, June 23. They also have a Run Club on Tuesday, September 25, 6:30 pm, but if running isn’t your thing, they have a Cardio Happy Hour Tuesdays, 6-7 pm. For moms looking for a fun way to get active and meet other moms, they offer a Rolling Stroller meet-up on Wednesdays from 10-11 am, but if you want to roll a little faster, the Power-to-the-She Cycle Club may be a good fit (meets Saturdays along with The Bike Lane’s 20 mile morning ride 9-11am). And for those who prefer to chat and socialize instead of gasping for air, there is a Walk Club that meets Sunday Mornings from 9:30-10:30 am for a 3 mile walk around Reston Town Center. Athleta is also celebrating National Yoga month with Yoga classes on Saturdays September 22 (Pavilion) and 29 (in the store) from 8-9 am. All these activities are free, so get involved and try something new! Walk to End Alzheimer’s and Candlelight Rally is only one mile, but raises support and awareness for The Alzheimer’s Association research that can reclaim the future for millions. So join us in the Pavilion at 5pm on Sunday, September 30 for a special walk and candlelight rally. Help the Homeless Walk at Mayflowersis coming up on Thursday, October 4, 12 pm to support Reston Interfaith’s program to raise awareness and funds to prevent and end homelessness in our community. The brief walk from Mayflowers to the Embry Rucker Homeless Shelter and back (about a mile or so) and is a good, social way to enjoy the great outdoors while helping your community. Reston Interfaith will receive a $50,000 bonus incentive through the Fannie Mae Help the Homeless program if 4,000 people walk, so gather your friends and register now! Anthem Great Pumpkin 5K, Pumpkin Smash Mile and Kids’ Pumpkin Dash are on Saturday, October 6, starting at 8:00 am for a fun morning where the whole family can get out and play. You can run, walk, or jog any of the three spooktacular events while enjoying a beautiful day outside with family and friends celebrating health and the fall festive season! The Great Pumpkin 5K is for families, joggers, and those rare few who can sprint over three miles. The Pumpkin Smash Mile is more of a speedy mile-long costume party complete with prizes for best costume! And then last but not least, the little ones get to run it out in the Kids’ Pumpkin Dash – costumes are a plus! A pumpkin decorating contest will also be going on throughout the event, so bring your energy, creativity and sport your best Halloween costume! 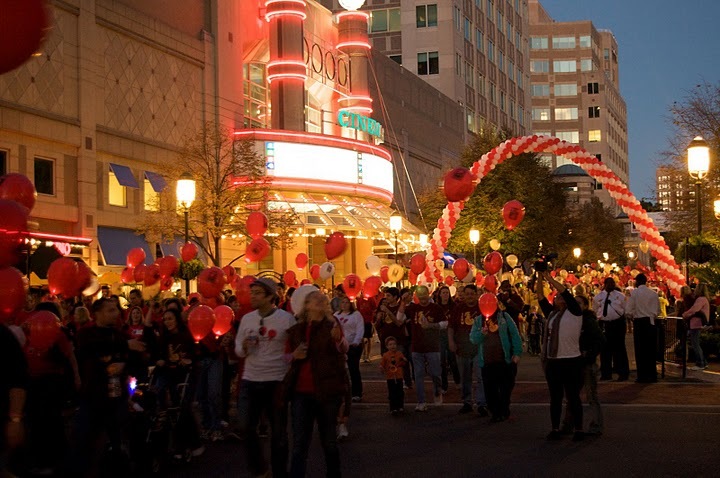 Light the Ni ght Walk for Leukemia & Lymphoma is a celebration of light and life for the noble cause of finding a cure for leukemia, lymphoma, Hodgkin’s disease and myeloma. The event starts with food, festivities and a remembrance ceremony in memory of those who have lost their battle against blood cancers, followed by the two-mile walk, then more food, carnival games, live music by MOJO and celebrations galore! Register now and get more details here. And once you’re back on track this fall, you can be ready for our winter events! PRR has several winter running events at Reston Town Center. They can wrap up your fall with the Nearly Naked Mile on November 10; Gingerbread Man Mile (for kids!) on November 23, Run with Santa 5k on December 9, and finally the New Year’s Day 5k! 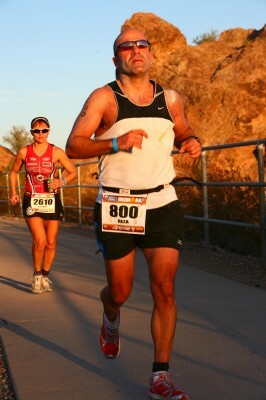 For registration and information visit http://www.prraces.com. 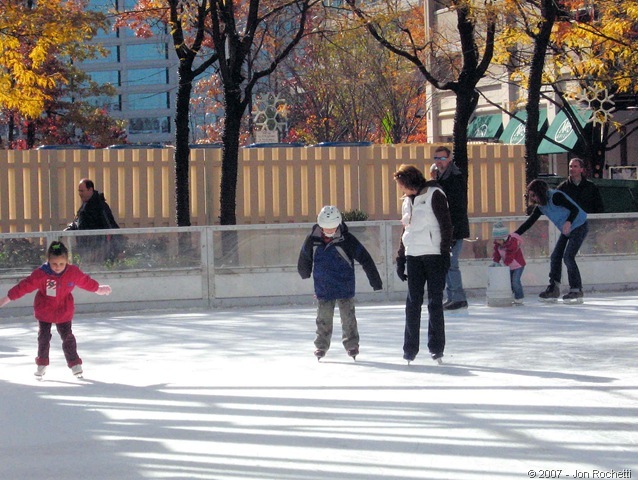 And you can’t forget Reston Town Center’s favorite winter activity, ICE SKATING! The rink opens in the Pavilion on November 1 and will be open daily (including holidays) with lessons available for those of us that haven’t laced up our skates in a while. All of these events and activities are great ways to build a fun, active lifestyle, support your community and keep you and your family fit. So register for one or all of them and get out here! Oktoberfest Reston Comes to Reston Town Center October 8-10! Grab your beer steins and polka dancing shoes because Oktoberfest is returning to the Reston Town Center. Join us October 8th – 10th on Market Street for this celebration of the traditional Bavarian festival and experience the best in fall brews, delicious Oktoberfest fare from area restaurants, live entertainment, a carnival, and enough bratwurst to take you back to the Old Country. Oompah! 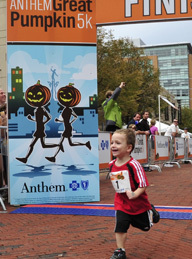 The Anthem Great Pumpkin 5K and Kid’s Pumpkin Dash will kick off Saturday’s activities. Presented by the Greater Washington Sports Alliance, this race is fun for the family, and kids will love the Pumpkin Dash and the Pumpkin decorating contest. This pedestrian-friendly Town Center environment is the perfect destination for a beautiful fall morning run, and an even better spot to enjoy the Oktoberfest “Scrambled Legs” post-race Breakfast! Oktoberfest Reston features food and drink from local restaurants throughout the event. Individual Oktoberfest food and beverage tickets may be purchased onsite for $1 each, or in sheets of 24 for $20. Not a fan of traditional German fare? Not to worry, there will be a wide selection of items at the festival, and of course, your favorite Reston Town Center restaurants will also be ready to serve you, whether you’re looking for an outdoor patio or to pull up a chair inside for some quiet relaxation. Stimulate your senses with the unforgettable music provided by a line-up of traditional Oktoberfest talent. Performing live will be The Continentals, Sexton’s German Band, 2U, The LOW’n’BROWS German Band, and a performance by the popular Alpine Dancers, just to name a few. Treat your inner child with a visit the Oktoberfest Reston Carnival, located in the parking lot at the corner of Fountain Dr and Freedom Dr. This festival fun-zone offers games and rides to keep both you and your little ones entertained all day. So, slip on your lederhosen and join us on October 8th – 10th for Oktoberfest Reston, and celebrate the German in you! Oktoberfest Reston is presented by The Greater Reston Chamber of Commerce. This annual event brings the heart and soul of German tradition to the D.C. suburbs. Don’t miss three very special days of fall fun!